In an exclusive report From the eye of the storm, Steel-360 uncovers the Odisha Iron ore mining controversy. A team of Steel-360 traveled down to the Mineral hub and intricately studied every aspect of the case under which the Supreme Court of India had imposed heavy penalties on miners and had found them guilty of widespread illegal mining. 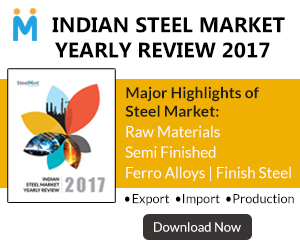 The Indian steel industry was taken by shock on August 2 when the Apex Court pronounced its judgment in the case and ordered the mine lessees to pay 100% penalty on iron and manganese ore mined between the year 2000-01 to 2009-10 before December 31. The initial estimates of the amount of fines calculated by the state government were pegged at around Rs 58,000 crore but were later reduced to about 17,000 crores. The order left both miners as well as steel producers who are heavily dependent on Iron ore from Odisha in a quandary. Steel-360 in its report studies the extent of damage that a possible ban on sale and mining can create if the SC imposed a ban on mining and sale of Iron ore due to no payment of dues before the end of 2017. We also speak to the Non-Government Organisation Common Cause that first raised the issue of illegal mining and filed the Public Interest Litigation (PIL) in the case. Common Cause has resolved to take the issue to a conclusive end and has also stated that they would move court again if miners plead for an extension. The Steel-360 December issue also covers in detail the Petcoke ban and the impact it may eventually have on Cement prices in the country. The article pragmatically weighs the pros and cons of the latest development. Also shedding light on the issue is the severe coal crunch that the country is presently facing. The extent of the crisis in the power sector is highlighted as a possible energy crisis looms large. The latest amendments to the Insolvency and Bankruptcy Code also finds due mention in Steel-360 December. As part of the special interview column Intervista we speak to two stalwarts in the logistics and ship recycling industry. VV Benugopal CEO of Panther Transfreigt Limited throws light on the recent advancements in the logistics and transport sector and also emphasizes on the need for digitization in improving industry standards. In the second part of Intervista, we speak to Md. Zahirul Islam, Director of PHP Recycling Yard, the only company in Bangladesh to acquire prestigious Statement of Compliance under the Hong Kong Convention. We subsequently cover a wide range of other stories, events, and developments from the Iron and steel industry that occurred during the month of November. 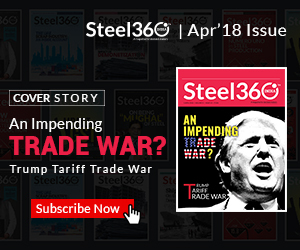 Bring forth a collation of news articles, analysis, and exclusive reports Steel-360 provides readers a panoramic view of the Steel industry. 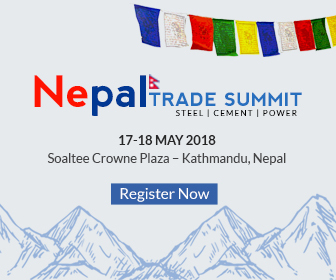 It also gives readers an opportunity to explore latest technical developments in the steel sector through the Steel Innovation sector. With a wide range of informative columns and write-ups, the magazine has emerged as a must-read for industry participants over the years.